Since 1957, Pine Tree Paper has been serving the Southern Maine area offering a full line of Institutional Paper, Plastic, Janitorial, Ice Cream and a complete line of Recycled environmentally safe products. Most of our Paper and Plastic products are post-consumer recycled. 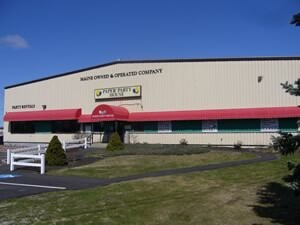 In 1957 the FAMILY business was founded on the idea that “SERVICE IS KING” Pine Tree Paper has been and always will be a Maine Owned , Maine Operated Family business. Come check out our SHOW ROOM and experienced staff that will make your business easy and cost effective to run. Our Paper Party House (party store) has a full line of Rentals and everything you need for any party occasion. A real person answers the phone and greets you with a SMILE, where you are King or Queen. We are now a U-Haul Neighborhood Dealer! Give us a call at (207) 956-5551 for all of your moving truck, trailers and towing and moving supply needs. Click the logo below to order online!